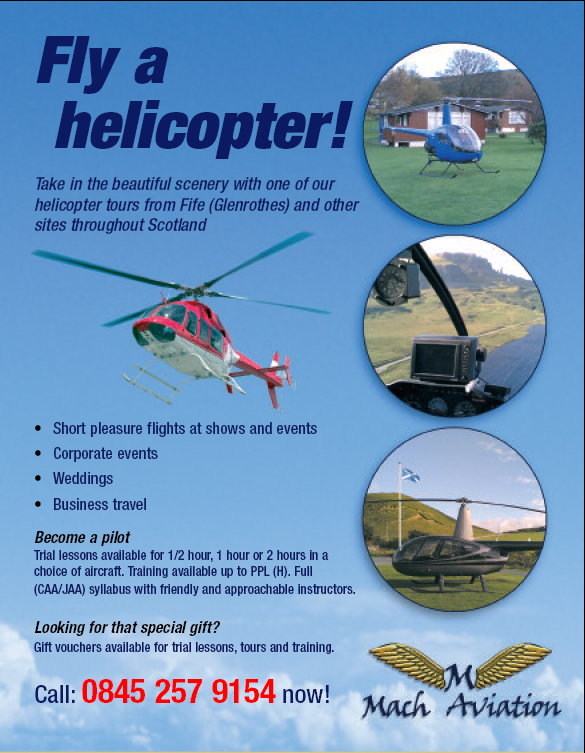 Mach Aviation: helicopter tours from Fife (Glenrothes) and other sites throughout Scotland. Short pleasure helicopter flights at shows and events. Corporate events. Weddings. Business travel. Gift vouchers available for trial lessons, tours and training. Call 0845 257 9154 to book.